There are many fertility issues going on in the world today, and many are caused by unhealthy sperm cells. Lifestyles and unhealthy habits, impacts your overall health negatively, and this is the more reason medical experts have emphasized on the need to make a U-turn. You sperm cells are also gets affected with this negative and unhealthy style of living as well. In this post, you will get to see some important tips for preserving your sperm and making it to remain healthy. 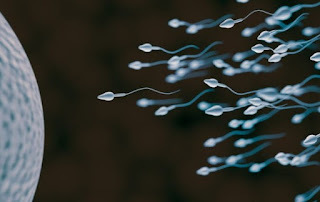 It has been observed that the majority of infertility problems in men are related to sperm disorders. That being a fact, but there are changes men can adopt to try and improve their overall wellbeing. Lifestyle can have a major impact on general health, including infertility, just like I stated before. Excess weight gain can add extra pressure on your body, and there is a link between a higher BMI (Body Mass index) and a decrease in testosterone and erectile dysfunction. For this reason alone, it is wise to maintain a healthy weight, especially if you are having in mind to start a family. For every man and women are trying to get pregnant, the best advice is to quit smoking. The reason is because a large number of research has shown a link between smoking tobacco and having difficulty conceiving. Smoking can also cause great harm in your sperm as a man, causing erectile problems and making it difficult to pregnant a woman. Engaging on occasional drinking might be fine, but you should stop the excessive booze as it could cause harm to your sperm. A damaged sperm is less likely to lead to a successful conception. It is normal for some percentage of sperm to appear abnormal in some way. But when there are higher numbers of abnormal sperms, there could be an underlying cause for this. One good cause of this abnormality is the increased temperature of the testes. A number of studies in the past have tried to find a definitive link between tight fitting underwear and a higher count of abnormal sperm. Although there is not a hundred percent certainty for this, it is still recommended that men wear loose boxer shorts rather than the tight fitted ones. Having a good sleep routine can help you feel rested even in your busiest of times. When you feel tired, it can make you reach for sugary drinks or caffeinated drinks, and all these send your blood sugar levels up and down during the day, and this makes you harder to sleep well. You should ensure you have a positive sleep routine. Stress is generally a bad news for your overall health and it have a negative impact on fertility too. Stress is associated with hormonal changes and caused great damage to the body cells. Many though that trying to control stress while planning to conceive is totally for women, but it is also important for men to keep stress in check too as it have a negative effect on the sperm as well. The importance of keeping fit cannot be overemphasised. Engaging in moderate exercise two or three times a week is highly important for your overall health. Studies have also indicated that it can also help to improve the shape and concentration of your sperm. Exercises like running can also improve your mental health and help de-stress your body too.